There are three ways to compete in athletics at LJA. If we sponsor our own Bulldog team- that's considered a 'stand alone' team. If we don't have our own team like in football for example, we can join Pac-5. The final category is if we don't have a team and Pac-5 doesn't offer that sport, we have the option to co-op with another school. We currently take on intermediate water polo athletes from other schools since Pac-5 doesn't offer water polo. And we also have a bowler who joins up with Island Pacific Academy in a co-op as well. 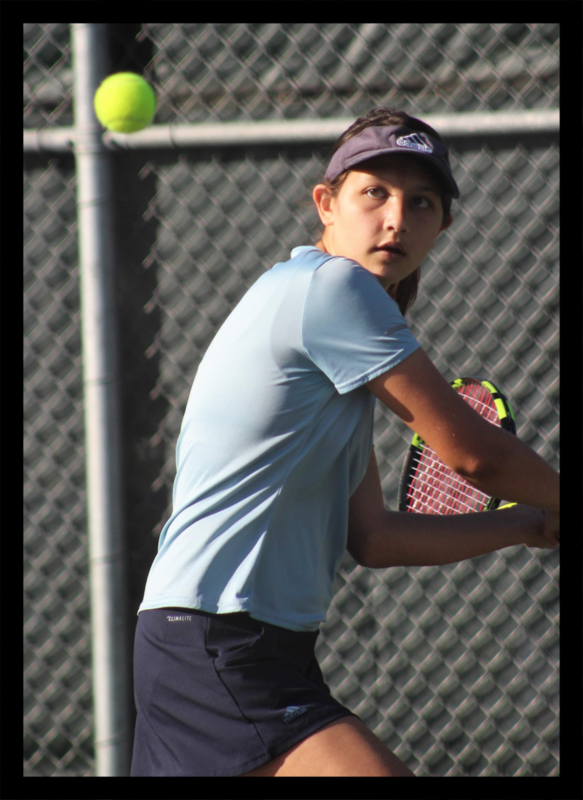 Varsity tennis player Amelia Butala returning a serve against Mid Pacific Institute. 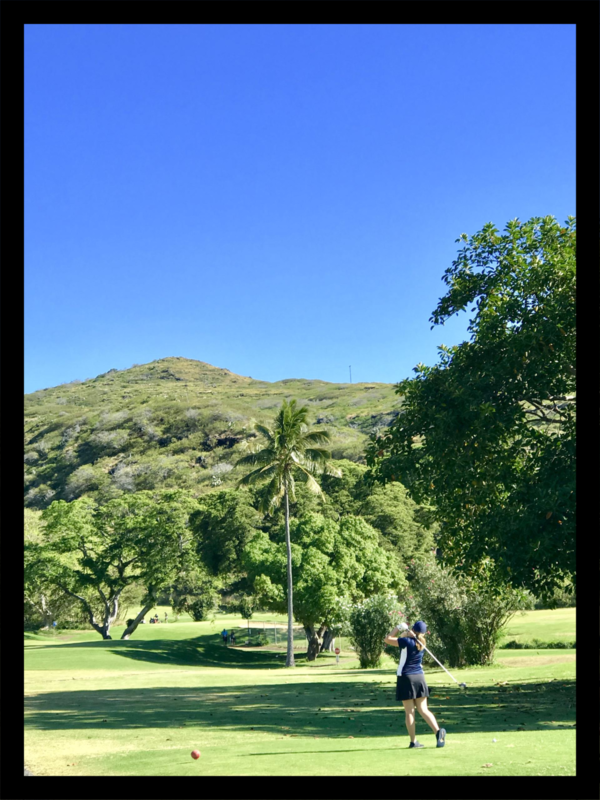 Intermediate golfer Emily Nicholson teeing off at Hawaii Kai Golf Course on March 16th . If you think you may be interested in competing on the track team if we were to sponsor our own squad, please send an email to the Athletic Director, Ms. Fraser, jana.fraser@lejardinacademy.org. 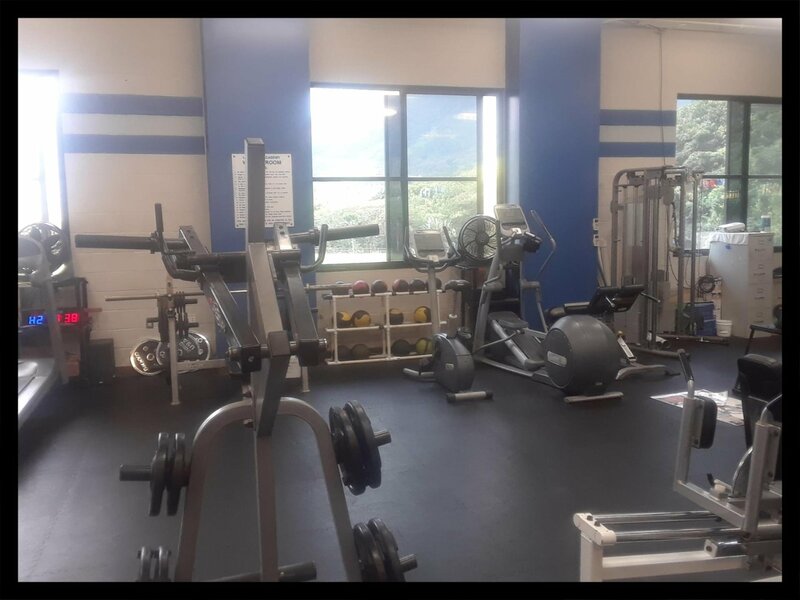 Check out the new paint scheme in our weight room! Go Bulldogs! Good luck to our Intermediate Boys Volleyball team who are fighting for the Division II league championship this Thursday, April 4th at 4:30pm at Klum Gym.